We don't have to have been a Christian for long before we realize how easy it is to live at times as though Jesus has had no impact on us. After the first flush of delight in Christs love of us has waned, we have to admit that we are not that excited about being a Christian. The passion has gone. We start doubting whether Christianity is really true and of infinite importance - rather than just a hobby for Sundays. We end up feeling a fraud, a failure, or a fool. 100% Christianity helps us all to face these challenges. It shows how we can become clear and confident about the gospel, grow in passion for Christ, and know God's empowering in living for him in all of life. This book speaks to our minds, hearts and wills. If you want help in living an intellectually rigorous, wholeheartedly passionate, and completely devoted life for Jesus, then this is the book for you. 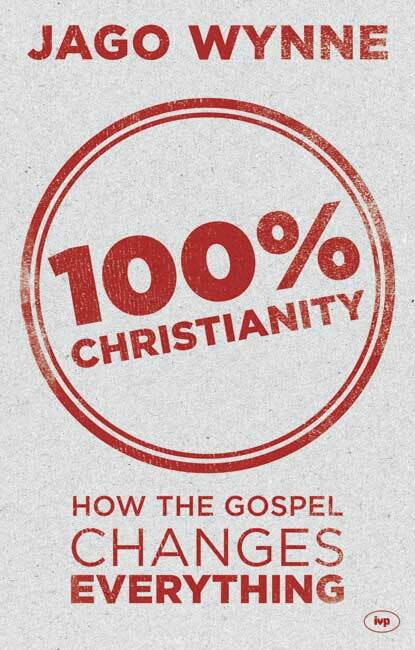 100% Christianity by Jago Wynne was published by IVP in July 2014 and is our 30050th best seller. The ISBN for 100% Christianity is 9781783591190. Be the first to review 100% Christianity! Got a question? No problem! Just click here to ask us about 100% Christianity. "The greatest challenge is this: as Jago reminds us, God has given us 100 %, and now God asks us for 100 % of our lives. This book hits the ball into our court: what we do with God's glorious grace and the message of the cross is the big question each of us must answer." - Malcolm Duncan, Founder and Director of Church and Community and lead pastor of Gold Hill Baptist Church.